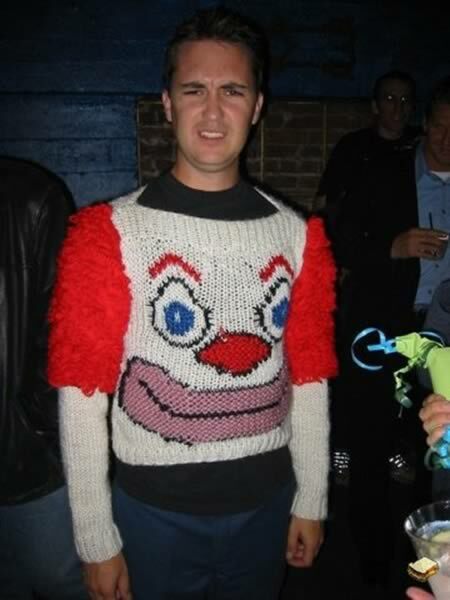 What you see here is a picture of writer/blogger/actor Wil Wheaton, wearing an especially ugly clown sweater. 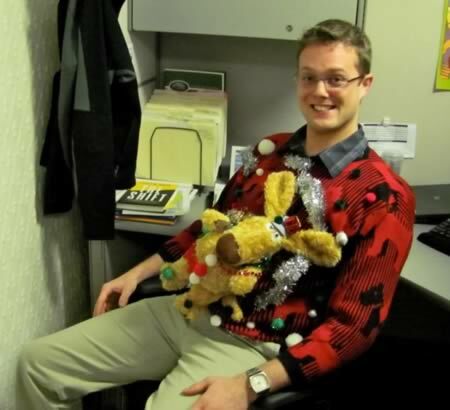 This $3.75 sweater became known as the ugliest sweater in the world. 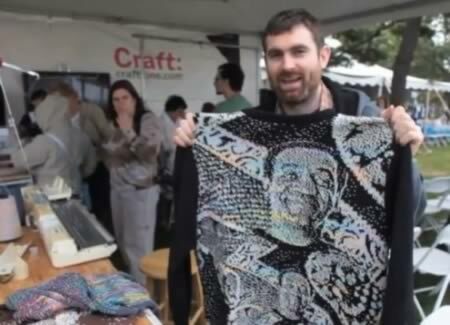 Phong made this Crazy Animal Sweater aaaaall by himself! 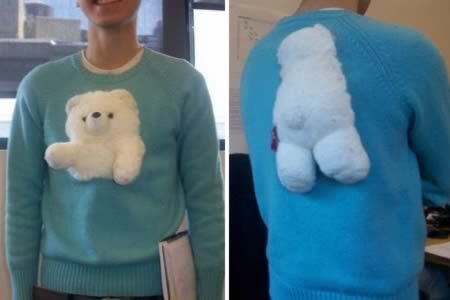 He sacrificed an actual teddy bear and his own wool sweater to accomplish that. 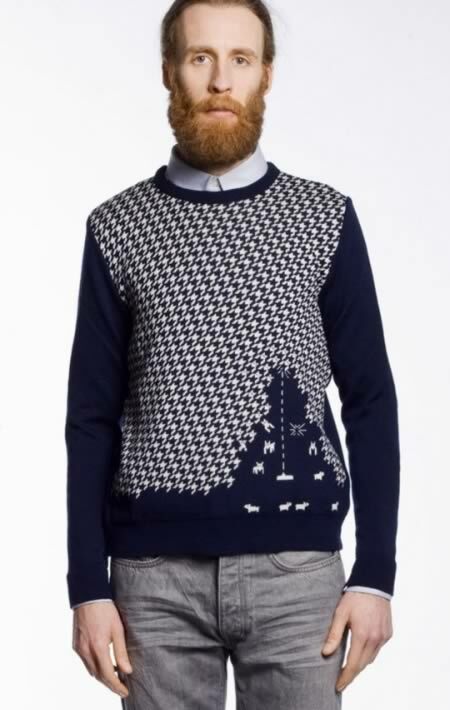 The French fashion design house, Monsieur Lacenaire, offers a classy sweater for old school gamers. 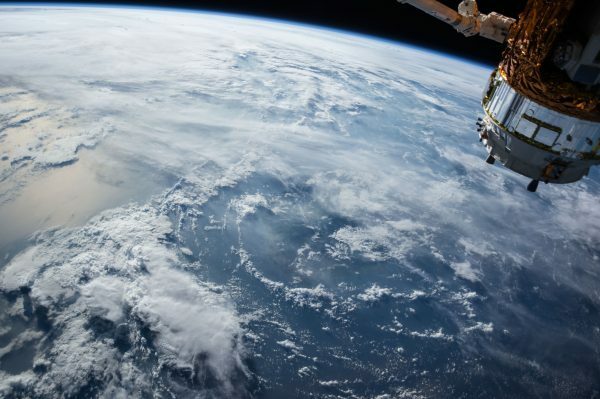 Space Invaders? Certainly not. That's a copyrighted game and completely different. This is Sheep Invaders, which is also a custom game that you can play at the link. 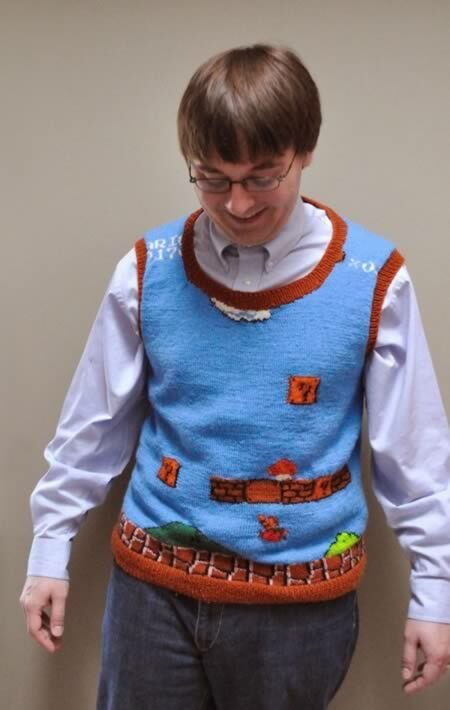 This knitted sweater vest by Happy Seamstress is an accurate replica of a screenshot of the original Mario Bros game. 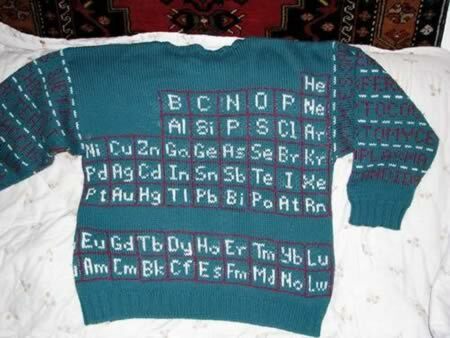 This Periodic Table Sweater allows you stay warm and comfortable while never forgetting your elements and compounds. 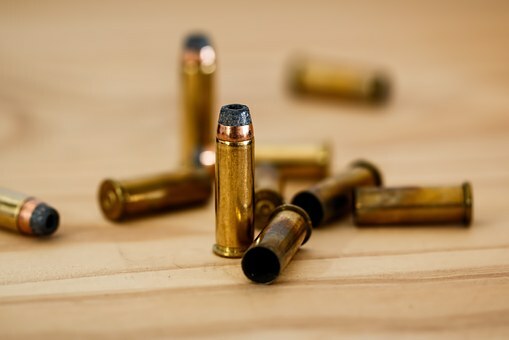 All you need to survive winter at college. This is the droid you're looking for! A knitted R2-D2 raglan-style sweater, handmade by Etsy seller EricaKnit, custom-made to order as per your measurements. 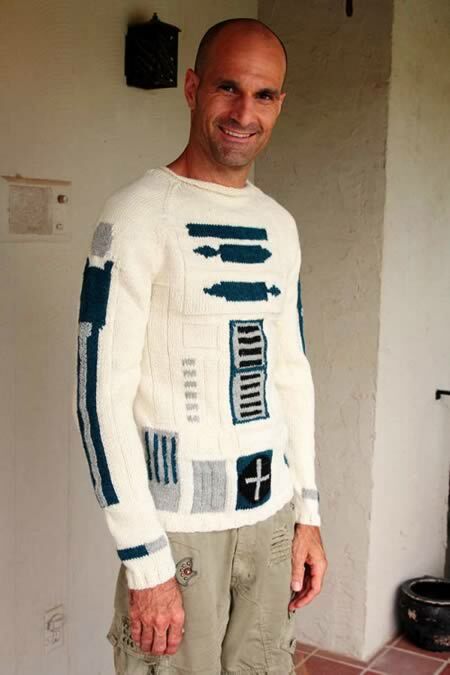 The perfect fitting sweater is so hard to find, and as a super Star Wars geek myself, this is uber-fantastic! 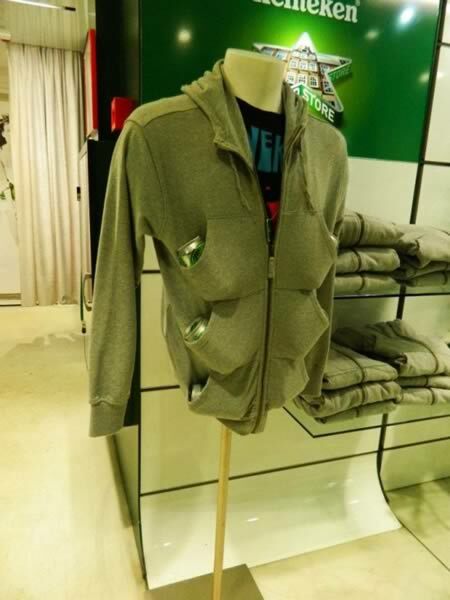 This sweater is for men OR women. 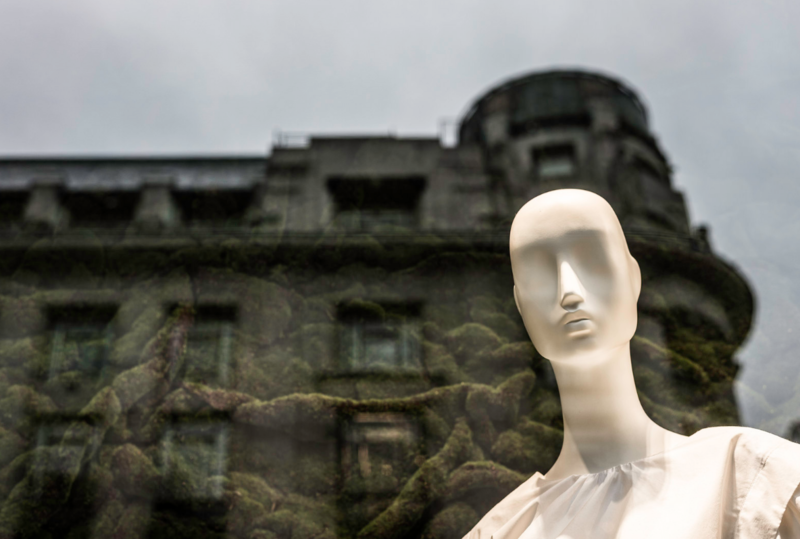 It is fitted because it is naturally stretchy, and has a raw rolled edge collar for a more urban look. 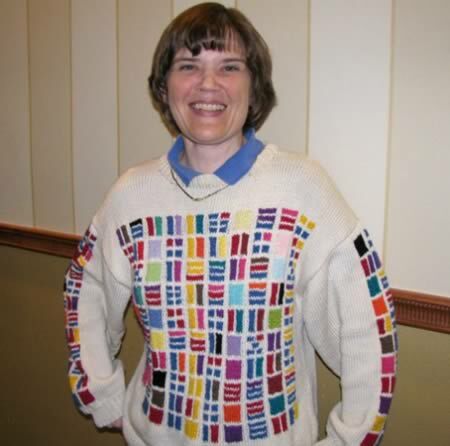 Sondra Eklund, a knitter, mathematician, and librarian, designed and crafted this sweater. It shows, in colors, the prime factorization of every number between 2 and 100.